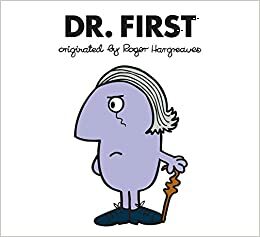 An all-new Doctor Who adventure featuring the First Doctor and the Cybermen reimagined in the style of Roger Hargreaves. Meet Dr. First. He is in a bad mood because he can’t find his granddaughter. However, that soon becomes the least of his problems when he stumbles upon an old foe. These storybook mash-ups, written and illustrated by Adam Hargreaves, combine the iconic storytelling of Doctor Who with the whimsical humor and design made famous by his father, Roger Hargreaves. Dr. First kicks off this series of witty and tongue-in-cheek storybooks—each featuring one of the twelve Doctors.